Julio César Román’s Creative Solutions Studio is a design and marketing studio based in Boston, MA, USA. We are committed to building and sustaining communities through thoughtful and artistic website design and maintenance, photography, graphic design, marketing, and branding. Engaging your audience is our primary goal. We understand that whether you are a nonprofit organization, research group, company or artist you have a unique and important story to share with the world. We are here to make your vision a reality. To accomplish our client’s goals we work closely with each one of them to create a powerful visual narrative that captivates, builds, sustains, and expands their online community. Julio César Román’s Creative Solutions Studio was founded by Julio César Román, an award winning artist, policy advocate, cultural broker, and social marketer. He has over 15 years of experience in web, graphic, and artistic design and has created web platforms for local politicians, community advocacy organizations, artists, and academic researchers. Mr. Roman holds a BFA from the School of the Museum of Fine Arts, Boston and a Master in Public Policy from Tufts University. Mr. Román believes that through the language of visual arts, we are able to build stronger, more compassionate, sustainable, and socially conscious communities by bringing diverse people together to celebrate our similarities, understand and respect our differences, and work towards a more just and equal tomorrow for all. 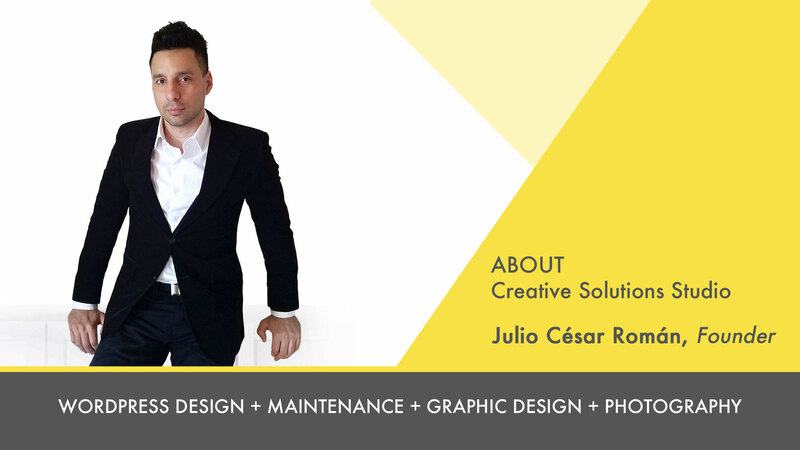 Julio César Román’s Creative Solutions Studio is a design and marketing studio based in Boston, MA, USA. We are committed to building and sustaining communities through thoughtful and artistic WordPress design and maintenance, photography, graphic design, marketing, and brand identity. To accomplish our client’s goal we work closely with each one of them to create a powerful visual narrative that captivates, builds, sustains, and expand our client’s diverse communities. 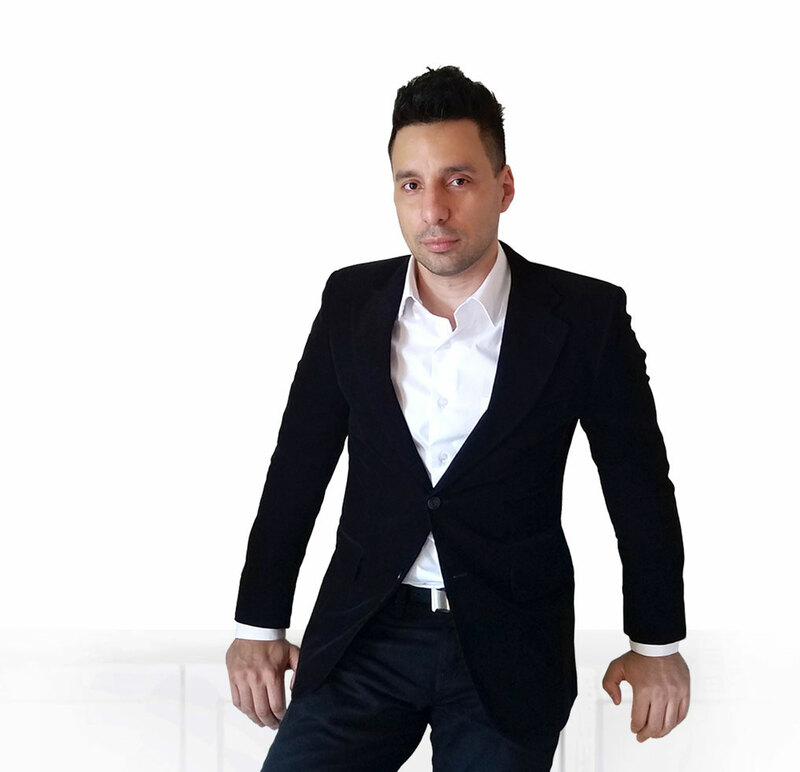 Julio César Román’s Creative Solutions Studio was founded by Julio César Román, an award winning artist, policy advocate, cultural broker, and social marketer. He has over 15 years of experience in web, graphic, and artistic design and has created WordPress websites for local politicians, community advocacy organizations, and artists, and academic researchers. Mr. Roman holds a BFA from the School of the Museum of Fine Arts, Boston and Master in Public Policy from Tufts University.